The true cost of a vehicle goes well beyond the sticker price. Fuel costs, maintenance costs, the vehicle's retained value and other items can all affect your bottom line down the road. Using independent research by Vincentric,™* this information shows the total cost of ownership (TCO) of a Mercedes-Benz Van versus its closest competition. Of course, with the lowest TCO in its class, the competition really isn't all that close. Less time in the shop and more time on the road means smooth running for your business. With a best-in-class maintenance interval of up to 25,000 kilometres, the Metris stays on the job longer than its competitors. And with dealers all across Canada providing dedicated quality care, when your vehicle does need service, it will be in, out, and back to work in no time. Get more van and more value. As a business owner, you understand the value of maximum return on minimum expense. Delivering 36% more cargo volume than its competitors, the Mercedes-Benz Metris depreciates at a remarkably low rate. 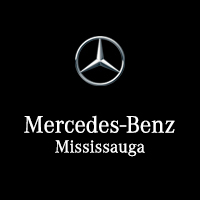 As Canada’s only mid-size commercial vehicle, the Mercedes-Benz Metris offers a perfect balance of value and versatility. *Vincentric™ is a renowned third-party research group that provides data, knowledge, and insight to the automotive industry by identifying and applying the many aspects of automotive ownership costs. Vincentric results based on cost-of-ownership calculations in the retail market. To learn more about Vincentric, click here. **Fuel cost and retained value savings based on 50,000 kilometres per year over 5 years as based on the 2018 model analysis of Canadian retail market for the Mercedes-Benz Metris compared to the Nissan NV 1500. †Fuel cost and retained value based on 50,000 kilometres per year over 5 years as based on the 2018 model level analysis of up to ¾-ton cargo series vans as performed by Vincentric, LLC for the Canadian retail market. ‡Maintenance intervals based on Mercedes-Benz Canada review of vehicle owners' manuals. 1Cargo capacity comparison of 42% based on the Mercedes-Benz Metris over the Ford Transit Connect. 2Payload capacity comparison of 55% based on the Mercedes-Benz Metris over the Ford Transit Connect.